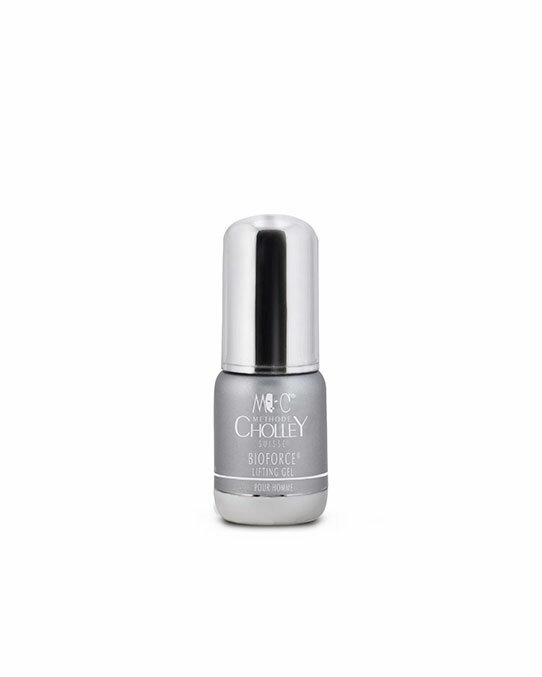 An intense anti-aging and anti wrinkle cream for men, ideal for the eye and lip contour areas. It gives immediate and very satisfying results, as well as long-term curative benefits. BIOFORCE Lifting Gel is one of the best anti-wrinkle creams for men whenever the skin feels stressed or appears dull. BIOFORCE Lifting Gel is particularly recommended for getting rid of unsightly dark circles. As one of our best anti-aging creams for men, it gives the skin a young, healthy, and rested appearance. In the morning and evening, after complete cleansing of the skin with BIOFORCE Detoxifying and Purifying Emulsion, place a few drops of BIOFORCE Lifting Gel in the palm of your hand. Using the fingertips and with a light tapping motion, apply the serum on all areas subject to the formation of wrinkles or loss of elasticity. For best results, follow the application of the gel with BIOFORCE Crème Raffermissante.